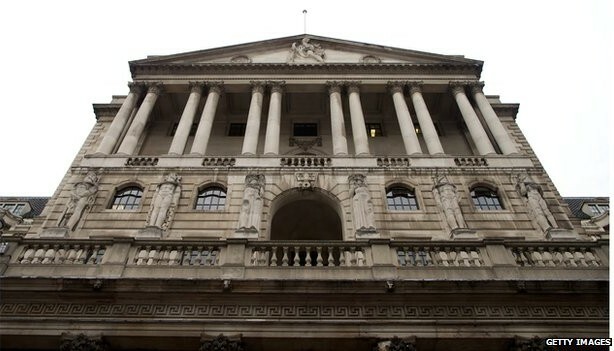 Bank of England officials are still concerned by the UK economy's weakness while business leaders have urged that the "time has come" to raise rates. The nine members of the Monetary Policy Committee voted to keep rates at 0.5%, as expected. They agreed that while "employment had continued to increase robustly... wage growth had been surprisingly weak". But business leaders believe the Bank may be being too cautious and should start raising interest rates. James Sproule, chief economist at the Institute of Directors said: "The economic recovery is strong enough that the time has come to be making progress towards [interest rates of 3-4%]." However, the minutes point out that "there were early signs that global growth was weakening, and an unexpected increase in interest rates when real wages were not yet rising could... destabilise the recovery. Wage growth excluding bonuses slowed to a record low 0.7% in the three months to May. The minutes added: "The committee agreed that no increase was warranted at this meeting, although for some members the decision had become more balanced in the past few months than earlier in the year". Mr Sproule said: "We remain concerned that there is insufficient appreciation that we are experiencing extraordinary monetary policy, and it should not be assumed that such extraordinary policy can continue. "Looking ahead two years, we would like to be reaching a point where monetary policy could again be effective, which means interest rates in the range of 3-4%." The Bank's Governor Mark Carney said last week he did not know exactly when interest rates would start to rise, although in June he suggested they could rise sooner than financial markets expected. Most commentators took this to mean a rise later this year. Later in the same month. Mr Carney told the BBC: "When we raise interest rates we expect to do so in a gradual and limited fashion." Accountancy and business advisory firm, BDO has said the Bank is not being decisive enough. Peter Hemington, Partner at BDO said: "We still don't know when interest rates will rise and businesses cannot plan for growth on the basis of vague or conflicting statements. "Policy makers can do more to provide certainty for businesses, enabling them to make informed decisions for the future." Interest rates in the UK have been at 0.5% for five years.